Maybe you are an aspiring model and want some unusual shots for your portfolio, or a bride and groom who are looking for more than the traditional wedding photo, or maybe you just want some professional photos in an unusual setting. Whatever your reason, we can arrange a photo shoot for you, in a location convenient to you. We can arrange a make-up artist, and have costumes you can wear underwater, as well as some props. These shoots are perfect for teenagers too. For best results it is important that you practice submerging before the photo shoot. Practice exhaling your air so you sink, opening your eyes underwater, and perfecting your expression. You should also be a competent swimmer. Professional Underwater Wedding Photography, Professional Underwater Model Photography, Adult Underwater Photo Shoots, Underwater Baby Bump Photography, and Underwater Family Photo Shoots can all be arranged. Please contact us for other locations and dates. Underwater Bridal Photography - Don't just trash the dress, drown the dress! Wedding dresses are perfect to be photographed underwater. Get a second wear out of your wedding dress in a stunning underwater photo shoot. 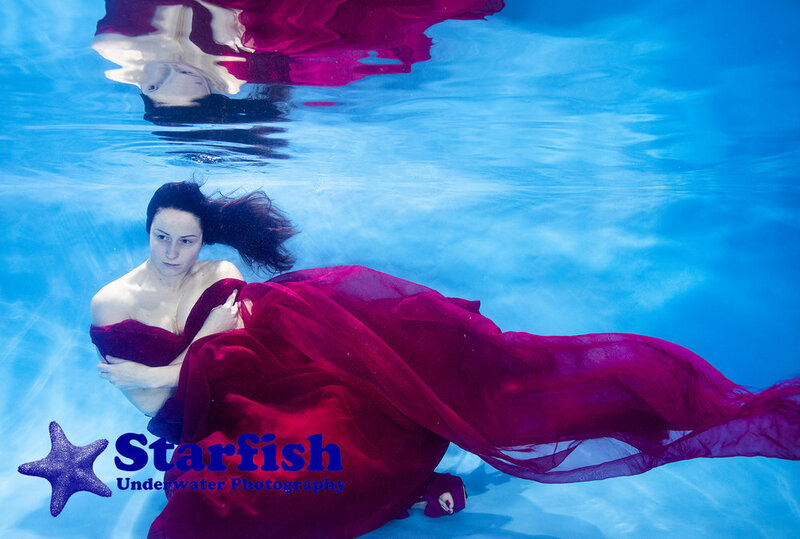 Adult Underwater Photography: Turn yourself into a work of art with an underwater photo shoot. Please contact us for current prices and locations. Underwater wedding photography and bridal photo shoots. Bring your own dress or use one of ours. Want some amazing unusual photos of yourself? 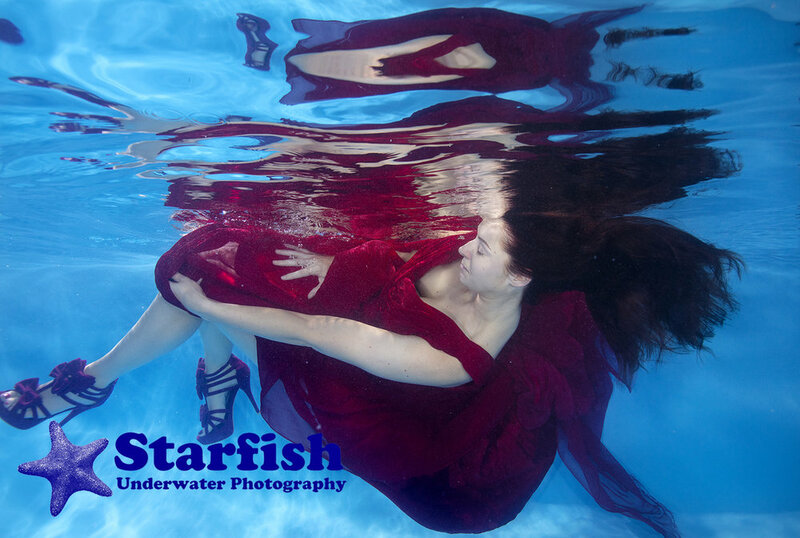 Then book an underwater photo shoot!